there are anyone tried those social trading like zulutrade or mql5 ? It is called survivorship bias. There will be always a bunch of pseudotraders with a return of 300%+, but just wait 6 months and 80% of them will burn, and they will show you OTHER 10-20 clowns. The guy with 49% and 150 week of track may be a real trader, but if he is a real trader he is in the wrong place! Is amazing the amount of signals with minimum of 1k% growth and 100% win rate. I am sure each of them own a skyscraper in Dubai. Over 50.0 of Profit Factor ? Zulutrade is scam, like absolutely any system that pays off with a markup on the spread. Mql5 signal holds the road at the technical level, which is not surprising since it is implemented natively in the platform. The big problem is mostly customer requirements in terms of return. The second problem is that 98% of signals are based on grid trading with martingales more or less concealed. But when a signal seems interesting, the audience is impressive. The signal 'Calm' based on a penny account with a starting capital of $ 100 .-- has more than AUM 8 million. Designing and running a robust system is quite difficult. with a straight line and a fantastic profit factor. Then you sell your past profit at 20$ per month. 50 subscribers for a couple of months will return 2000. 1000 was the cost of the accounts, net profit of 1000. Those sites are total scam! This (darwinex) is the only place i found some transparency and actual (well thought) system for evaluating different trading strategies. People here doing some great work, so don't waste your time anywhere else i suggest. Here above you can read some opinions about signals sites. While being a trader I prefer to think as investor, here is difficult to make money as investor but it is doable. With signals sites it would be impossible. Luckily there is a sreenshot in the first post. Let's see what a quick check after almost a year shows. Only 1 signal is still active. All others are either deleted or broke. So the more followed has only 54 subscribers and 400k aum? I think we have much more capital here! yeah. There are a little more subscribers using the MT4 version though. Still, this whole signal copying is stupid. Let's take the most followed signal so far with 406 subscribers and ~$885k AuM. Makes around ~2.2k average equity per subscriber. Just paying the signal costs will require a performance of ~2% monthly or 22% yearly for the average subscriber. And this is just for paying the fees. Nothing earned yet. This guy that is doing true trading and also withdrawed some profits has no subcribers at all! Thanks all of you for your comments. I have studied the industry for 2 years and I know it well. You haven't mentioned SimpleTrader in your list. 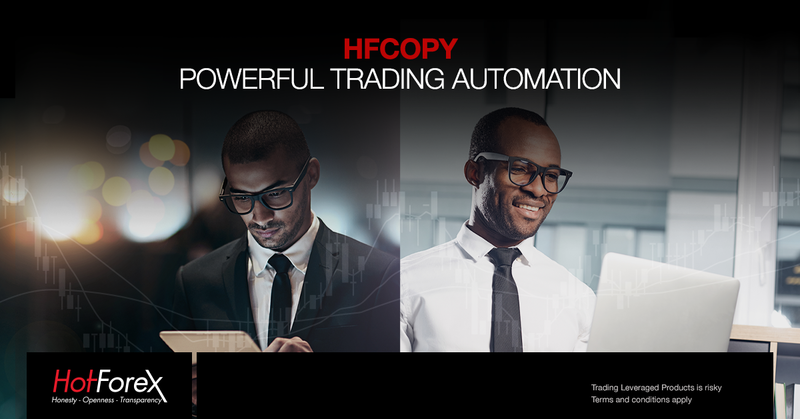 Check how HotForex HFcopy Strategy Providers are doing with the assistance of records showing their gain, max drawdown, followers & stability score. MQL5 offers a huge database of systems, so you just have to do your homework and select carefully. I'm not here to say Trade Copying is better or worse than DARWIN's. I'm just saying that paying a monthly fee for my strategy of $69 would be a quite good choice if you have at least $5000 to 10,000 equity which some do and have profited handsomely and easily paid the costs for VPS and sub fees. You also retain control of your trading account, which broker you use, and risk management. That's why some like trade copying rather than fund investment. These strategies perform better oftentimes than the Risk Adjusted Returns you get by investing in the DARWIN version of the underlying strategy. Some like to trade multiple strategies on their own account and even do some of their own trading, and thus Trade Copying is not bad if you find a good strategy provider. Anyway, don't want to run thru this debate again, but HotForex Copy offers a unique mixture type of copying that actually pays performance fees based on high water mark to their strategy providers but they still call it Copying. Yes, monthly subscriptions are very good for traders! Are investors making money there? Can you make money subscribing 5-10 signals different from yours? The best fo investors are PAMMs and DARWIN is an evolution of PAMM . As investor without Darwinex I would go for Alpari PAMM , where we find some true traders like luckypound and Hohla . Out of curiosity... If someone had invested in your system in August 2017, they'd have been pretty much flat in terms of returns for a year or so... yet they'd be paying 69*12 subs fees + VPS costs, right? Wouldn't everyone's incentives be more aligned if traders get paid only based on the profits they generate? yet they'd be paying 69*12 subs fees + VPS costs, right? Download mt4/5 for free and we give you signals and VPS and you can make money ! I can find 5 good strategy providers on MQL5 and SimpleTrader yes. Ovisun from Romania is a good trader with signal Tickmill LN, and I've seen some other good ones too. I prefer to manage my own capital so I have no one to blame but myself and I believe in my strategy. Just important to pull profits out monthly or regularly. You can make money faster with signals but I understand Darwinex provides quality traders and safety in their Risk Adjusted Asset Manager software.